What is Flotation Therapy All About and What Exactly are the Benefits? What is known as“floatation therapy” is a unique type of health therapy where you float on your back in a tank of warm, salty water. These tanks arespeciallycreatedfor this purpose, and people undergoing this special experience are receiving one of the very best methods of relaxation currently available. In some areas of natural/alternative medicine, floatation therapy is being put to use as a way to help users in achieving specific goals, and making great use of floatation tanks for things such as meditation and mental de-stressing. Should you be interested in experiencing relaxation pods in Perth, you can simply find the nearest flotation facility on the internet. With a search engine, look for “floatation therapy” in Perth. When they were first developed, floatation tanks were used for experiments in sensory deprivation in the 1950s. Investigators believed that the brain would go into a state of semi-consciousness when the body was floating in warm water in dark, soundproofed surroundings. Those earlier tests actually did suggest that this is what actually happened. As the researchers were relaxing in the tanks, their brain waves altered, until they hadindeed achieved a state of very deep relaxation somewhat similar to being unconscious. 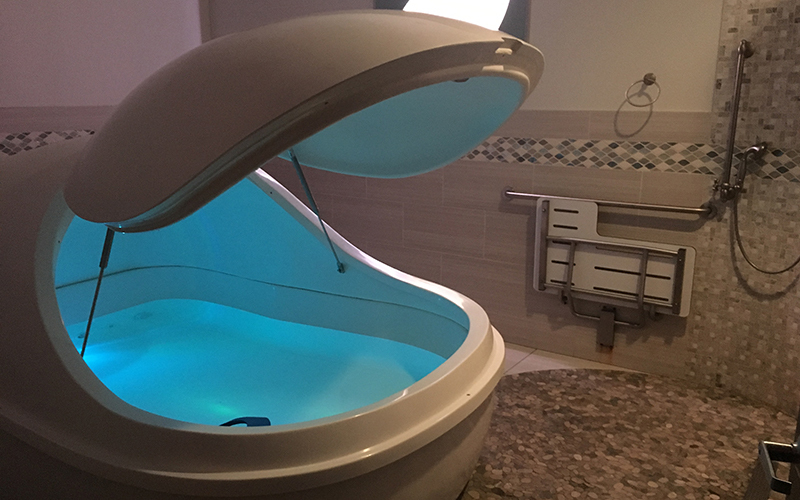 Today, floatation tanks are very much similar to isolation tanks, although they are built a lot bigger for those who happen to suffer from claustrophobia. Thetanks contain comfortably warm water and Epsom salts, which helps to make the water easier to float on without hardly anyeffort. The tanks also have state of the art air circulation systems to ensure that the air in the tank is constantlyfresh and pleasing. During a therapy session, you wear a bathing suit and shower before entering the tank. The skilled therapist will have a chat beforehand about what you will ultimately experiencewhen entering into a tank. You will be advised to remove any kind of distractions such as jewellery. If you wish so, ear plugs can be wornto put a stop to water getting into your ears and to help keep any sounds to a minimum. Usually, floatation therapy users will spend around an hour or even more in the heated tank as they enter into a state of complete relaxation. It is possible to reach a new level of deep meditation, or concentrate on specificproblems that they want to deal with. The warm water aids in separating any feeling of the body’s boundary, which then stimulates one’s mind and body into relaxing at a much deeper level. People sometimes meditate, and have been known to concentrate on intricate maths problems, undergoself-hypnosis and analysis all inside the confines of the floatation tank. After a session ends, the user will slowly leave and shower again and in a number of cases, consult with a therapist to talk overthe experience.